I've just listed this brand new style on Etsy and Smashing Darling: a straw mini derby for summer. 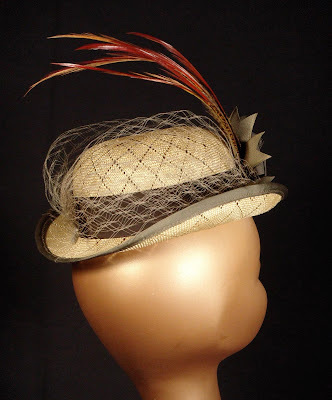 Made in a vintage lace-y diamond patterned straw-- There were only three straw bodies available in this pattern, so this hat will be a very limited run! 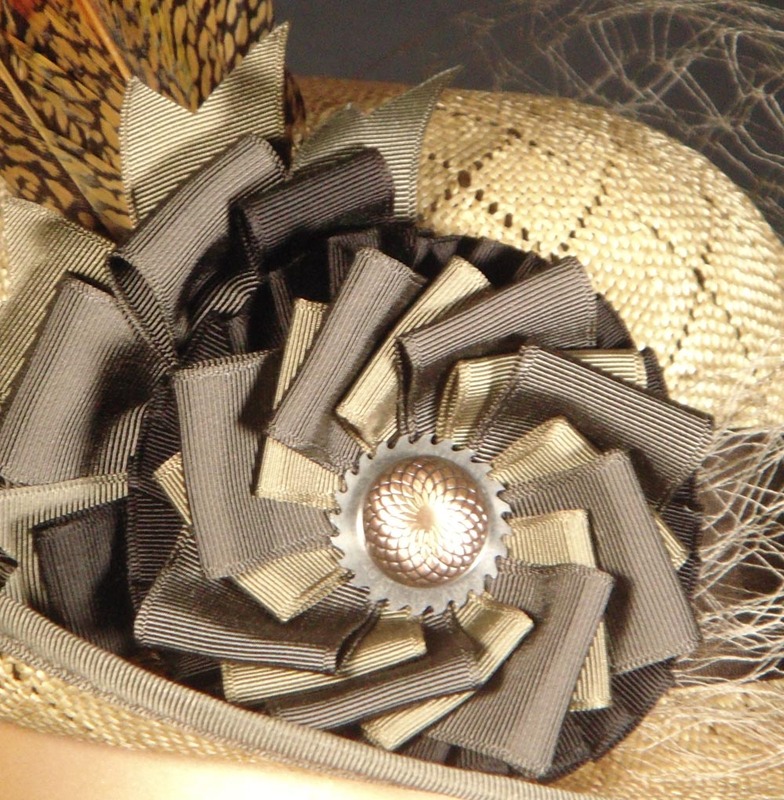 Edged and decorated with vintage in cool brown tones. The cockade is finished with an embossed copper button. 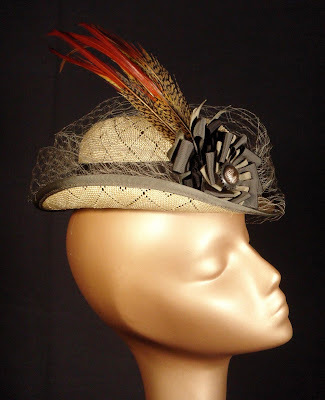 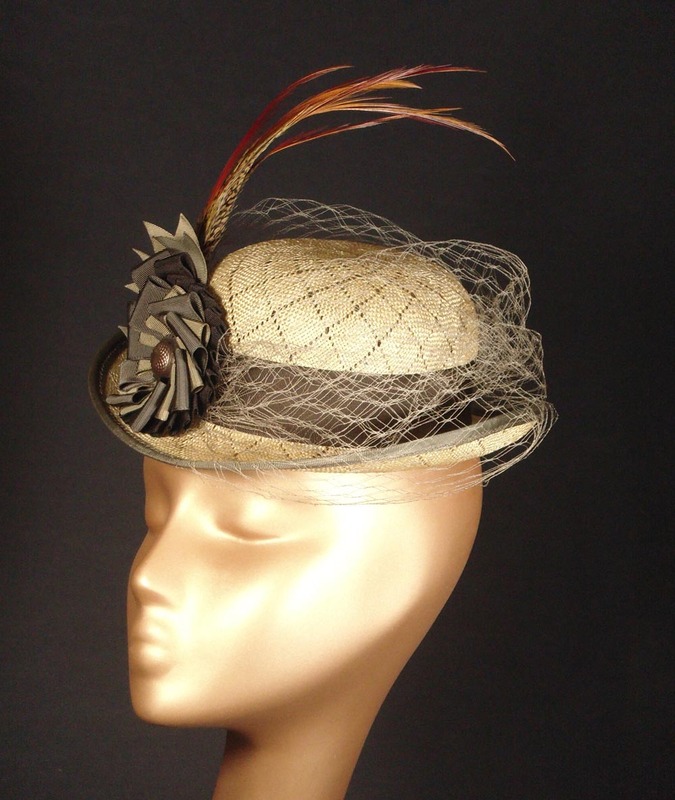 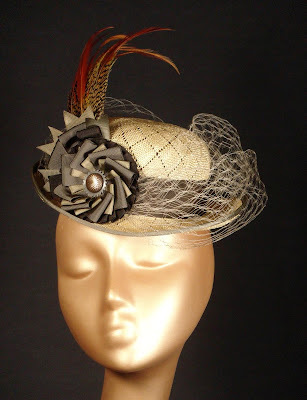 Finished with taupe vintage silk veiling, and fierce orange-tipped golden Pheasant feathers.